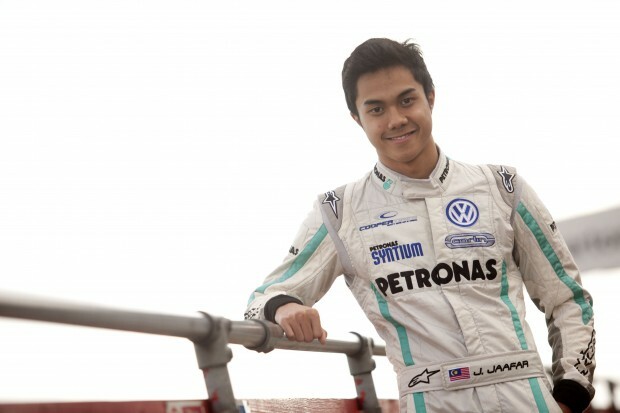 Jazeman Jaafar will be back behind the wheel of his F3 car this weekend in Nurburgring, Germany. The PETRONAS Talent Programme driver will be contesting the fifth round of the Formula 3 Euro Series as part of his 2012 calendar of race weekends. The Nurburgring event will be Jaafar’s third visit to the venue used regularly in Formula 1 and an historic track which shares its location with the famed Nordschleife circuit. His first outing to the Grand Prix circuit was in Formula BMW three years ago and he then returned last year for a round of British F3, when he scored two top five finishes. The Nurburgring circuit, a regular feature on the Formula 1 calendar sharing the honour of being the venue for the Formula 1 German Grand Prix with Hockenheim, was revamped in 2009 to offer motorsport one of the most modern, stylish facilities with a technically challenging circuit. The Formula 3 Euro Series event at Nurburgring, sharing the bill with the popular DTM, German Touring Cars series, will start with a practice session and qualifying on Friday. The first race takes place on Saturday in the morning, with the second of the trio in the afternoon. The final race of the weekend will be on Sunday morning as a support to the DTM feature event later in the day. The races can be streamed live at www.f3euroseries.com.